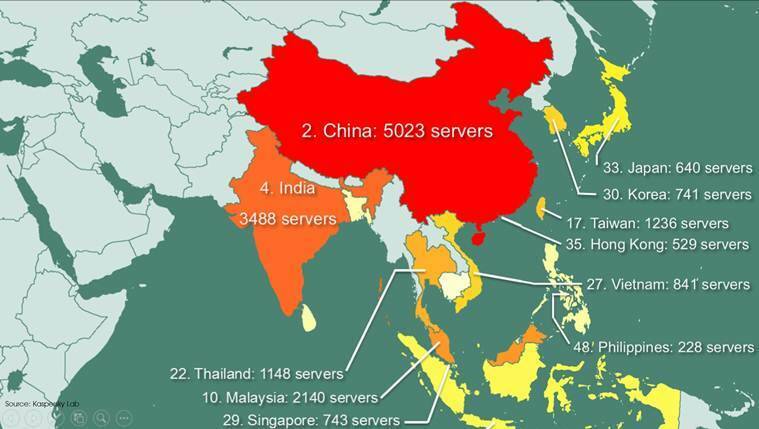 India ranks fourth in the list of hacked servers available for sale via xDedic marketplace. According to Kaspersky, xDedic lists 3488 Indian servers for sale as of May 2016. The Kaspersky report further states cyber-criminals can buy and sell access to these compromised servers for as little as $6 each. The xDedic marketplace is run by a Russian-speaking group and currently has access to some 70,624 hacked Remote Desktop Protocol (RDP) servers. 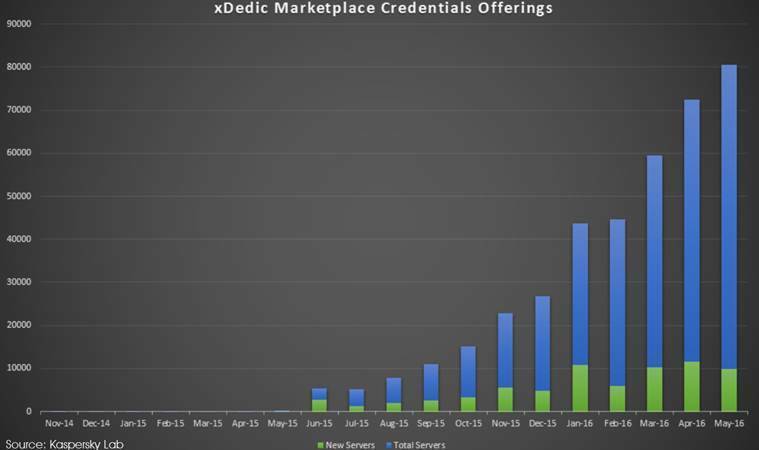 The xDedic marketplace is reportedly being used by entry-level cyber-criminals as well as APT groups to access legitimate organisational infrastructure to keep their crimes below the radar. 4. All supported by a range of hacking and system information tools. The top 10 countries affected are Brazil, China, Russia, India, Spain, Italy, France, Australia, South Africa and Malaysia. The report claims the listed servers can be used by cyber-criminals to target the owners’ infrastructures or as a launchpad for an even wider attack. Surprisingly, the report states governments, corporations and universities are often unaware that their IT infrastructure has been compromised.